Apartments Podere Conte Novello - private entrance and garden. Apartaments home holidays Castagneto Carducci Livorno Tuscany - Garden and private entrance with pool. Six apartments with private entrance and private garden. The pine trees that seperate us from the sea for at least 2 km, in the distance the sweet hills are surrounding the cultivated fieids and olive trees... this is the panorama of your holiday at Podere Conte Novello! Seven appartments of different types, all with a private entrance and private garden... At Podere Conte Novello space and nature are the undisputed main features. Every garden is equipped with a private gazebo, tables, chairs and sunbeds. Enjoying relaxing moments with the family or just the two of you is a dream come true! The relationship with our cellar is one of strength ,for this reason every apartment is dedicated to the best wines of “Fattoria Casa di Terra”, recalling them in the colours and shades of the interior design. 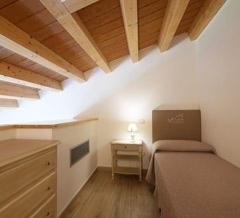 The style of the apartments is fresh, modern and at the same time the wooden beams keep alive our memories of the past. 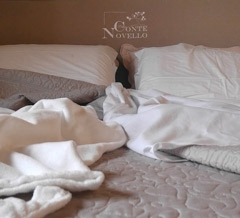 A surprise for our guests... in the Maronea and Mosaico you will find King Size beds , double beds extra large and extra comfortable for a desirable rest. 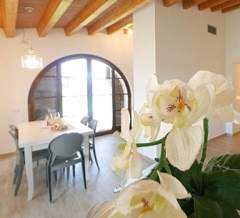 Our top apartments dedicated to our top red wines “Maronea” and “Mosaico”. Large private garden with gazebo equipped with table, chairs and sunbeds. 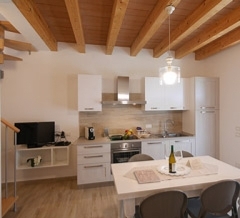 Our apartments dedicated to Vermentino of Bolgheri Doc “ Terre di Lavinia” and our Rosato “ Allegra”. Big garden with gazebo equipped with table, chairs and sunbeds. The red wine Bolgheri DOC "Moreccio" and our vintage Red IGT "Poggio Querciolo"
Apartments Castagneto Carducci, Livorno. 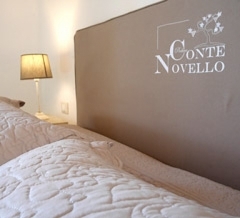 Home Holidays Castagneto Carducci. 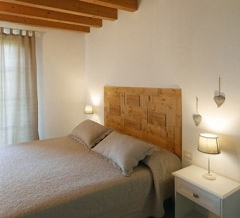 farm holidays Castagneto Carducci. Wine tasting Fattoria di Casa Terra. Wine tasting Livorno Tuscany.